So far 2012 is the year of green. Not only did I do a juice cleanse with a whole lot of green juices involved (which, by the way, I still drink sometimes because they’re so good), but we’ve pretty much curbed the Civic and both started biking to work. We’ve also started a weekly trip to the Farmer’s Market on Wednesday mornings where we get all of our produce for the week. Grocery store trips now consist of picking up paper towels, toilet paper, some proteins, and orange juice. We are saving the planet one green day at a time. 2012 has been green for another reason, also. A really Wicked reason. 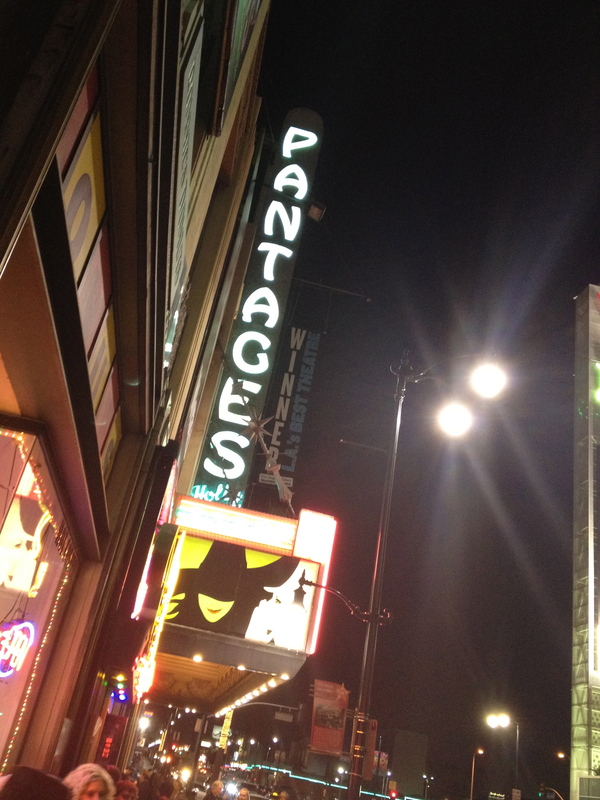 Suzi and I have been talking about going to see Wicked at The Pantages Theatre in Hollywood for months now. And a couple of weeks ago, we actually came up with a plan and did it. 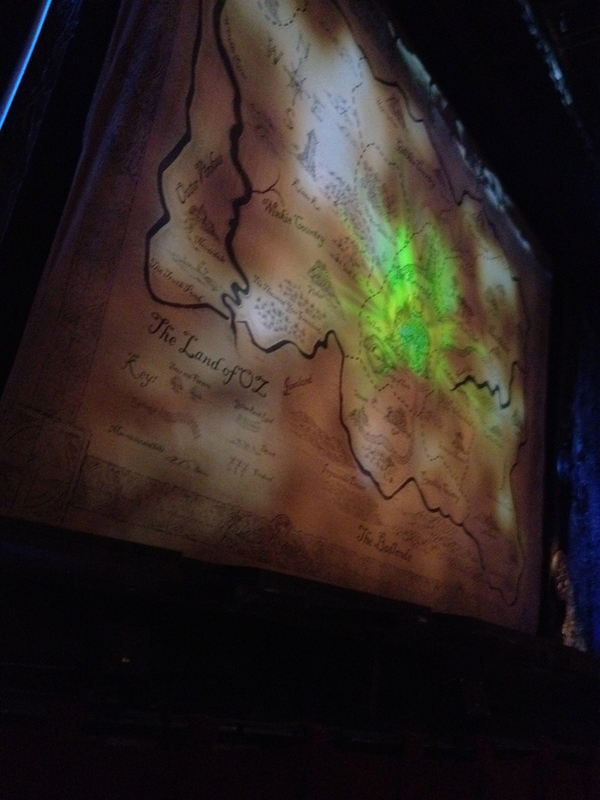 I dressed for Glinda, Suzi dressed for Elphaba. The thing is, we didn’t have tickets. I know all you people who have seen a bazilion shows on Broadway have also done the lottery a million times. But I was a rookie. I went in with a lot of confidence. Way too much confidence. Suzi and I put our names in. We went across the street for a drink. I joked that I wanted to be the last name called so we could get all the suspense possible out of it and still be a winner. And I thought it’d be like “The Bachelor” or something. 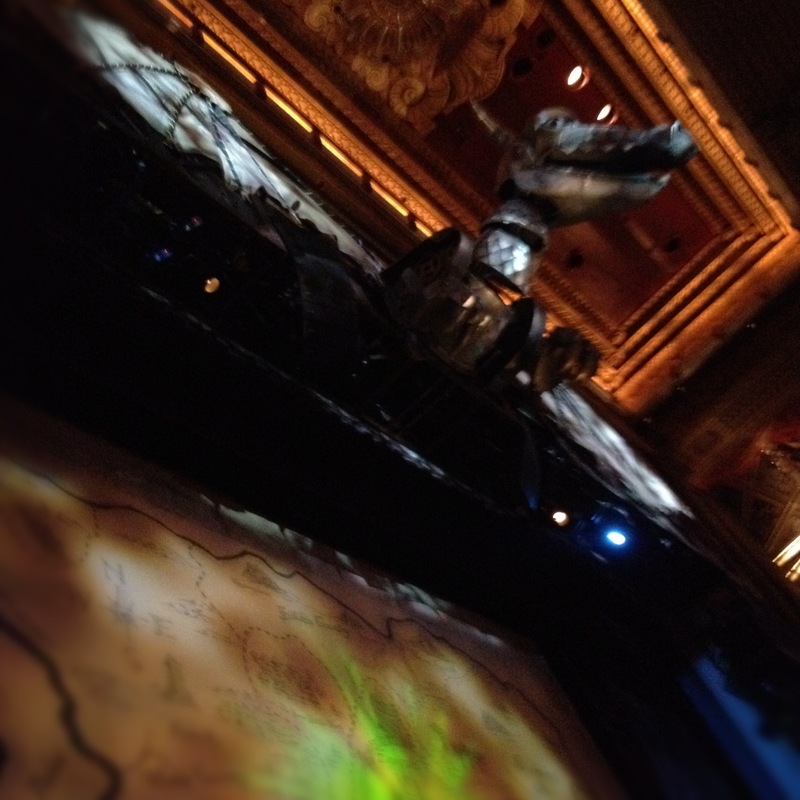 So we had our drink and came back to the theatre two hours before the show. I hadn’t even considered the possibility we wouldn’t get picked. There were two of us with names in there. They picked 25 names. Of COURSE we were going to get in. But then we saw the crowd that had formed. There must have been 150 people there. I started getting nervous. I asked Suzi how she thought our chances looked. She told me some story about how she was sure we’d get tickets because she always gets tickets. She totally had me fooled. Just incase you have never done this before either, most musicals reserve the first row or so for their lottery before the show. You can arrive two hours before the show and put your name in, and if it’s picked you get a front row seat for just $25. It’s an absolute steal. And it’s like Broadway’s version of gambling. I love it. We started sizing up our competition. We totally wanted it more than that couple over there. They didn’t even look like they wanted to BE here. And we definitely wanted it more than those kids in hoodies. They didn’t even get dressed up. This is the THEATRE you know. But those two girls looked cool. Ok, we hoped those two girls got tickets. And then we’d sit new to them and we’d all be friends. The drawing began. Hundreds of little papers with names on them swirled around in a Bingo-type device. I tried using mind power to get my paper to float to the top. I held my breath so I wouldn’t disrupt the flow of the universe. Whatever it took. 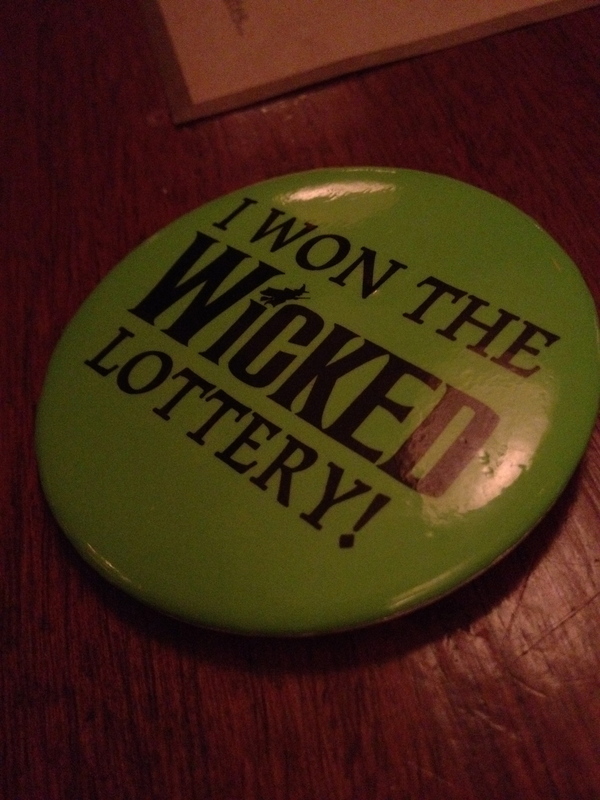 I was going to see Wicked that night. The first few names were drawn. No luck. There was even a KELLY picked… but with a crazy last name. After ten names, he announced there were only three names left. Only 26 tickets total, NOT 50. I felt like I was going to throw up. Didn’t the universe know how badly I wanted to see this musical? I knew every word to every song. I would cry at all the right parts and laugh at all the right parts! I would be WAY more excited than all these people who had been picked before us. The last name was chosen. Suzi had told me she folded her ticket weird. This ticket was a little off, but definitely not weird. Was it weird enough? We screamed like little girls. I jumped up and down. I might have thrown up a little, I don’t know. I don’t know how those “Bachelor” girls do that every week. I’d have a panic attack. 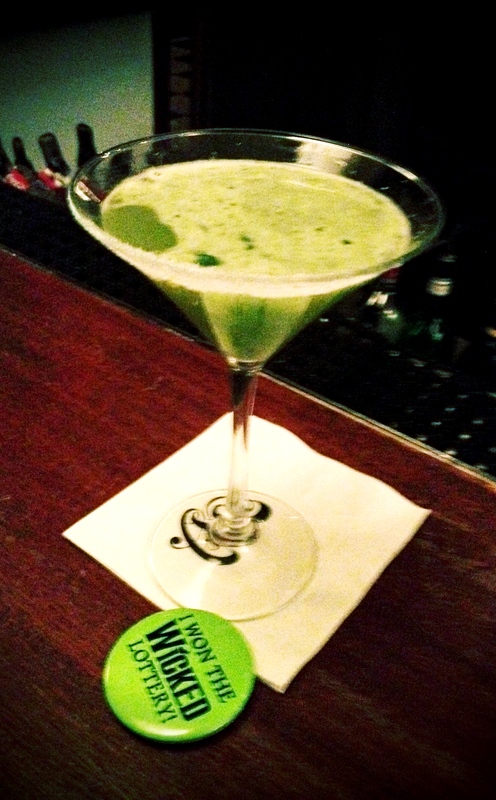 SO then we went and got ANOTHER drink to celebrate and waste some time before the show actually started, and of course we had to make THOSE green. Overall, it was the most amazing night EVER. This is what $25 can get you in Los Angeles if you’re really, really lucky.